To be completely honest, I never really thought much about the line until I saw it explicitly pointed out in an article written around the time the movie debuted,1 which featured a comment by director Kunihiko Ikuhara.2 It neatly outlines the dichotomy that exists in this movie that I had somehow never been able to see. 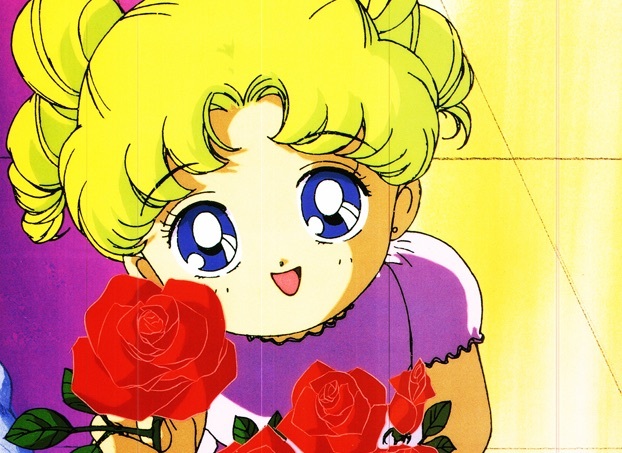 According to director Ikuhara, this movie contrasts the relationship between Xenian and Fiore with that between Usagi Tsukino and the Sailor Team; i.e., contrasting Xenian’s brand of “motherhood” of using [Fiore] for her own gain with Usagi’s “motherhood” with which she unconsciously supports everyone else. With that pointed out to me, that throws a whole new spin on the movie. What’s more, it adds a lot more context to ChibiUsa’s line. I had traditionally always interpreted this to mean that Sailor Moon is essentially the core of the Sailor Team and, as a little child would put it, is their “mama” so to speak. But it seems that Ikuhara meant for this to be interpreted far more figuratively (and far deeper) than I had originally assumed. In the movie that gives us our first glimpse of Usagi as a child, it ironically intends to convey a story about motherhood. Read also: What is the Story Behind ChibiUsa / Small Lady's Name? This probably makes it all the more fitting that Usagi’s mother has just given birth to Shingo when she first meets Mamoru. Though we know very little about Fiore (other than his connection to Ail and An), such as what brought him to Earth in the first place and whether he ever had any parents, we do know that he at least shared a lot in common with Mamoru when they were both friends at the hospital, in so far that neither of them had parents and were alone in the world. 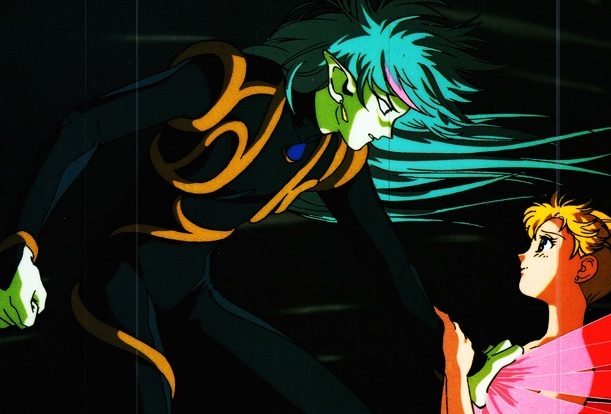 As Fiore searched the galaxy to find the perfect flower to present to Mamoru, he ran across the Xenian flower,3 who seems to play the role of a wicked step mother to the young boy, basically using him for her own means. Xenian will do whatever it takes to spread herself throughout the galaxy, even if it means using Fiore as a vehicle to get her to those goals. Though Sailor Moon may be portrayed here as a good mother, as a holy mother, but I would like to add that she isn’t a philanthropist. She is not a mother of love alone. Rather, she has uncommonly strong likes and dislikes. 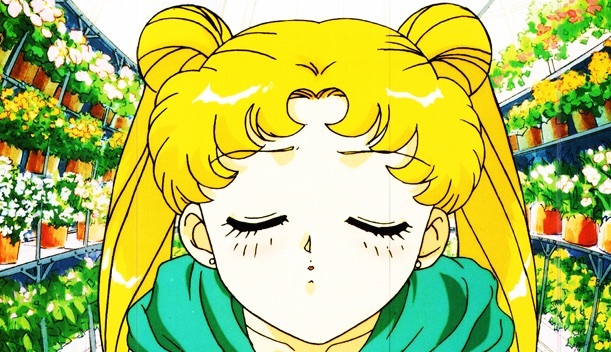 Usagi became close to her friends precisely she could intuitively understand her friends’ desires to be independent, and absolutely not because she had felt sympathetic to alienated girls. 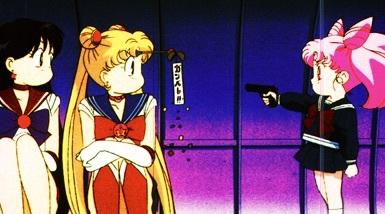 I believe that if Usagi were friends with some guy who was really pathetic, she would cleanly end the relationship. So… interesting! While Usagi is commonly portrayed as a character with an endless amount of love, Ikuhara provides a little more clarity on the type of mother he thinks of Usagi as being and how her sense of “motherhood” is reflected in her relationship with her friends. She’s flawed, sure, and may sometimes be selfish, but she can truly understand others, sometimes even better than they themselves can. Personally, I really like this interpretation of Usagi. Often you’ll see her portrayed as loving and accepting everyone because… that’s what she does, especially when it comes to the anime and her tendency to heal her enemies. But here, it’s clear that Usagi actually loves and befriends those close to her because she truly understands them and can see their good points. Maybe it’s a minor distinction, but I really think it adds a bit more depth. And there you have it! ChibiUsa may not have been totally off the mark in saying that Sailor Moon was everyone’s mom. But I’d love to hear what you think about the theme of the Sailor Moon R movie. Any other interesting points worth discussing? 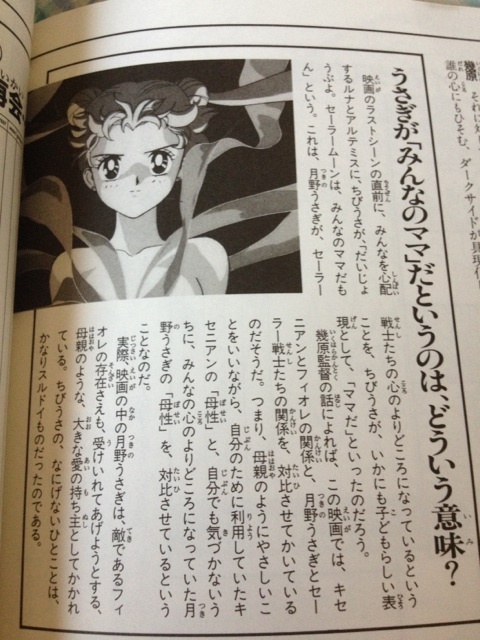 The linked image is from the Sailor Moon R Movie Memorial Album, specifically from page 86. You are truly a rock star. Thanks! I’ll update the footnote now. Maybe I’m being overly-simplistic, but I always thought ChibiUsa’s line was referring to how Usagi protects the world, like a mother protects her child. But I do like this new take on the theme of Sailor Moon R, very interesting! When you consider the age of the target audience for the movie (~5-7 or 8 year olds? ), simplistic interpretations can often be correct! It reminds me of the Princess Moon who watches over all of us in the classic ending theme.